Interestingly, the leading American locomotive manufacturer of the times was the last to establish a plant in Canada. General Motors Diesel, Ltd. (GMD) was the Canadian arm of General Motors' Electro-Motive Division, which was established during the late 1940s to offer EMD products in that country and bypass the steep tariffs and customs rates required to ship locomotives across the border. GMD's plant was located in London, Ontario and began full production by the early 1950s. 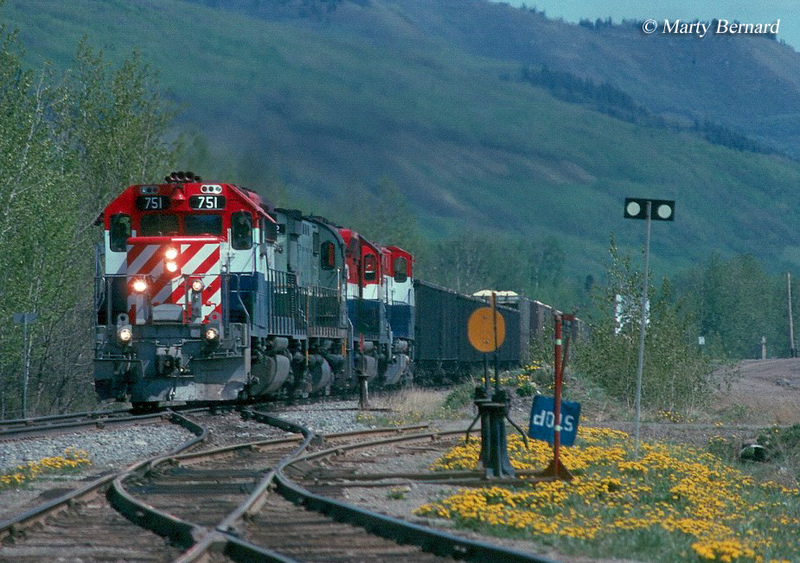 The division would manufacture most of EMD's catalog for Canadian railroads and ironically outlived its counterpart facility in La Grange, Illinois which closed during the early 1990s. The London plant continued to build locomotives until early 2012 when new owner Caterpillar shutdown the facility and moved all operations back into the United States. In 1949 General Motors established General Motors Diesel, Ltd. to serve the Canadian railroad industry and offer its successful line of diesels in that country, which were already very popular in the United States. However, surprisingly, GMD was late to enter this market. During 1948 Baldwin began working with the Canadian Locomotive Company (CLC) of Kingston, Ontario to sell its designs in that country although this partnership was short-lived (in 1950 CLC began working with newcomer Fairbanks Morse when it realized Baldwin would not remain competitive in the market). The American Locomotive Company (Alco) on the other hand had long been established in Canada since 1901 through its Montreal Locomotive Works and had been manufacturing diesels since 1941. There were primarily two factors driving locomotive builders to establish subsidiaries in Canada; first, EMD had overwhelmingly demonstrated the success of diesel application in road service with its FT model of 1939 and second, the country had strict laws against imported locomotives to protect its own companies. To get around this American manufacturers found it easier to simply build their own plants in Canada instead of paying out the steep custom and tariff rates. Before Electro-Motive's new facility in London began producing locomotives the builder had already been demonstrating its covered wagons in the country since the late 1940s including such models as the F3, E7, FP7, and others. Not surprisingly, just like with American railroads Canadian lines were impressed with the locomotives. By the summer of 1950 General Motors Diesel was producing locomotives with the first completed being Toronto, Hamilton & Buffalo GP7 #71 that August. A month later GMD finished what was actually the first order received by the plant, Canadian Pacific FP7s #4028-4037, which were delivered in September. Considering Electro-Motive's success in the American market it's not considerably shocking that GMD also did quite well producing most of its parents designs including the F7, FP7, FP9, F9, GP7, GP9, GP30, SW8, SW900, SW9, SW1200, MP15AC, GP38/-2/W, GP40/-2/TC, SD40/-2, SD38-2, and others. 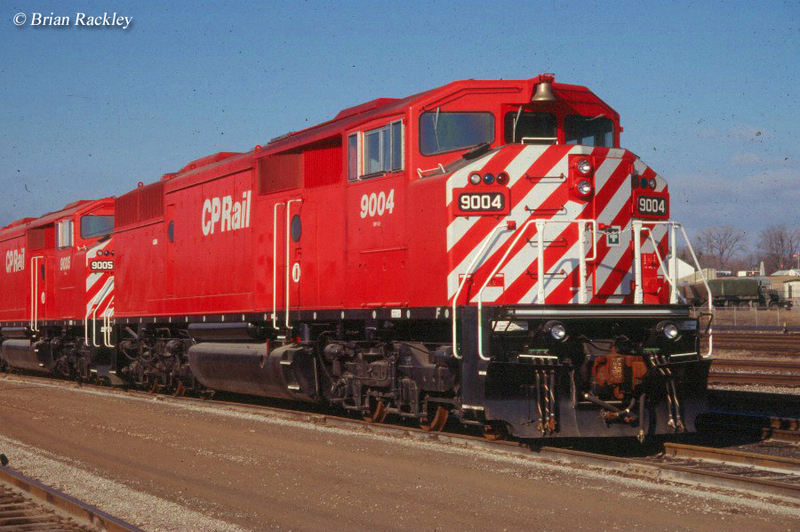 It also built locomotives only used in Canada such as the GMD-1 (a light road-switcher that resembled Alco's RS-1) and cowl designs of popular Geeps and Special Duty (SD) models that were uncommon in the U.S.
During the 1960s the London plant also began producing other equipment such as transit buses, suburban coaches, and heavy earthmoving equipment. On February 1, 1969 GM began restructuring Canadian operations and renamed GMD as the Diesel Division of General Motors of Canada, or General Motors Diesel Division (GMDD) for short. As time passed GM began shifting more production to London, particularly as General Electric became a serious competitor during the 1970s. 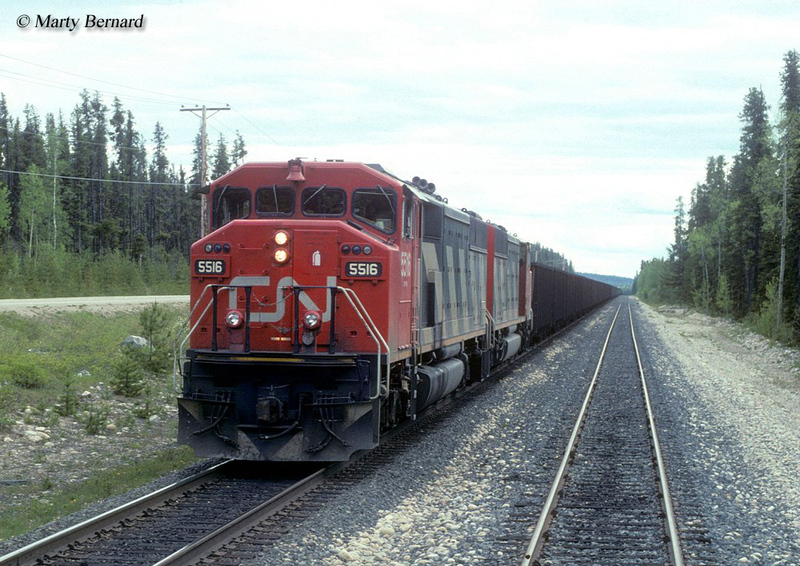 Within a decade GE had claimed top spot as locomotive manufacturer when EMD stumbled with its SD50 model in 1981 (which was supposed to be the builder's next generation of road-switcher). 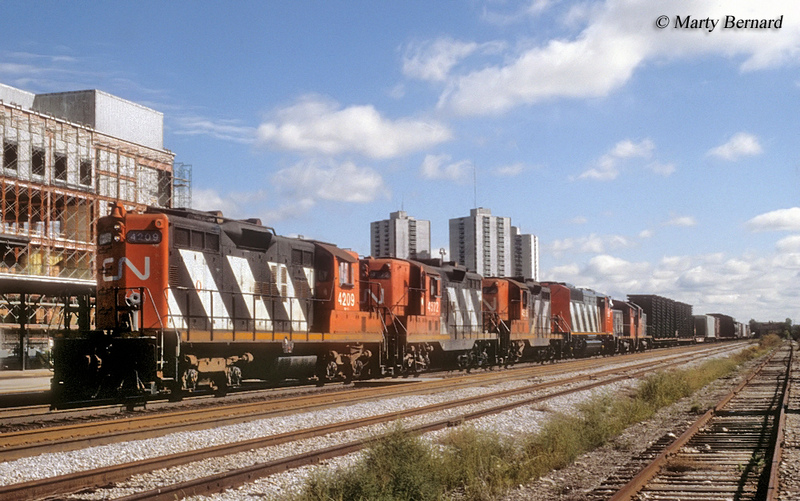 In 1991 as EMD continued to lose market share to GE it shuttered its famous La Grange, Illinois plant and shifted all production to London under the North American Free Trade Agreement (NAFTA), which essentially abolished the General Motors Diesel Division name. Ironically, things would come full circle within 20 years. In 2005 GM exited the locomotive market, selling its EMD subsidiary to investment groups, which renamed it as Electro-Motive Diesel, Inc. Five years later on August 2, 2010 Progress Rail Services Corporation, a Caterpillar subsidiary, took controlling interest in EMD. During early 2012 a long-time contract dispute with CAW workers at the former GMD facility resulted in Caterpillar closing the plant and moving all operations to Muncie, Indiana thus ending continuous production in London after 60 years of operation.